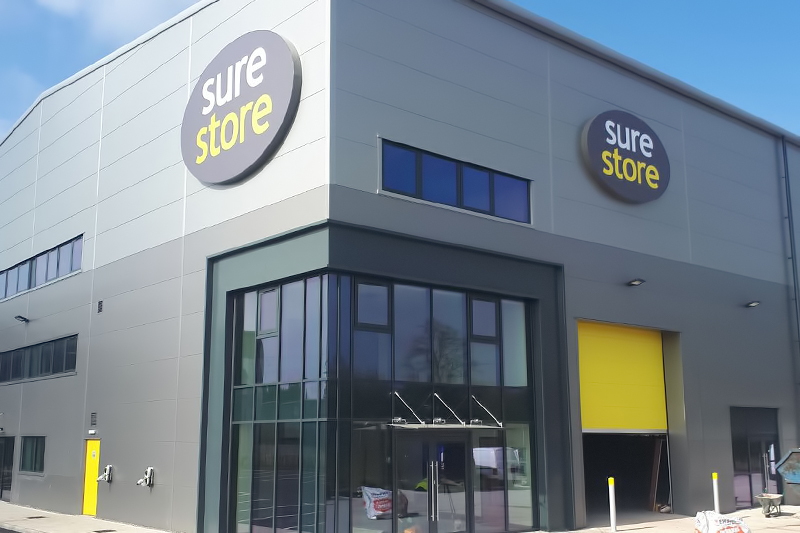 We have just completed an interesting project for Sure store, an industry leading, managed storage facility, who have facilities across the North of England and the Midlands. 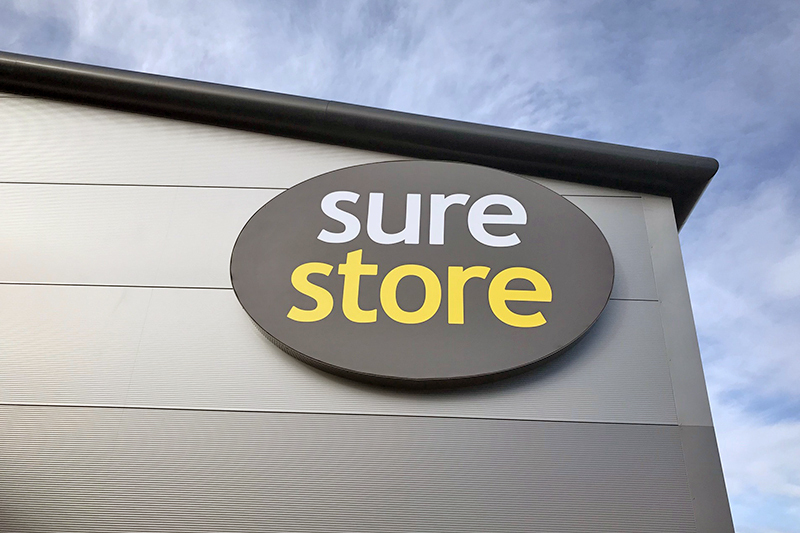 Benson Signs had been approached last year to provide signs for the newly renovated building in Bolton, as well a newly built facility in Cannock. 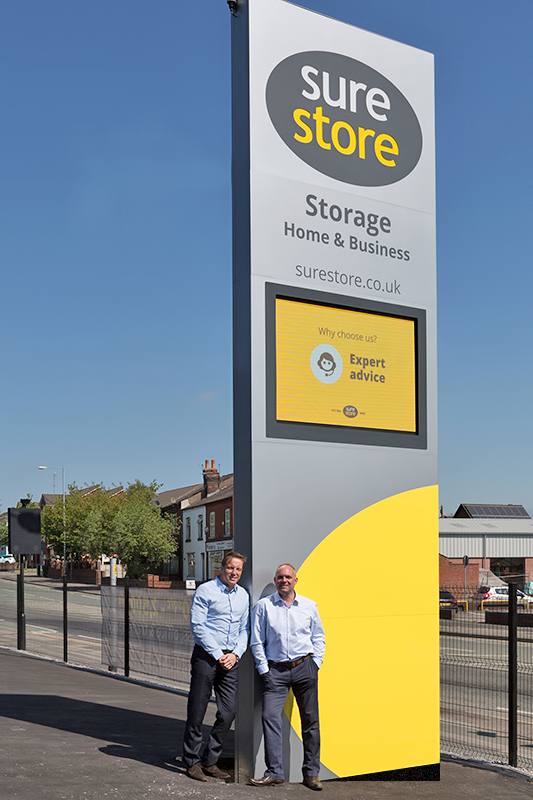 For the Bolton site we were also commissioned to provide a digital signage solution that would be incorporated into a large free standing totem sign. 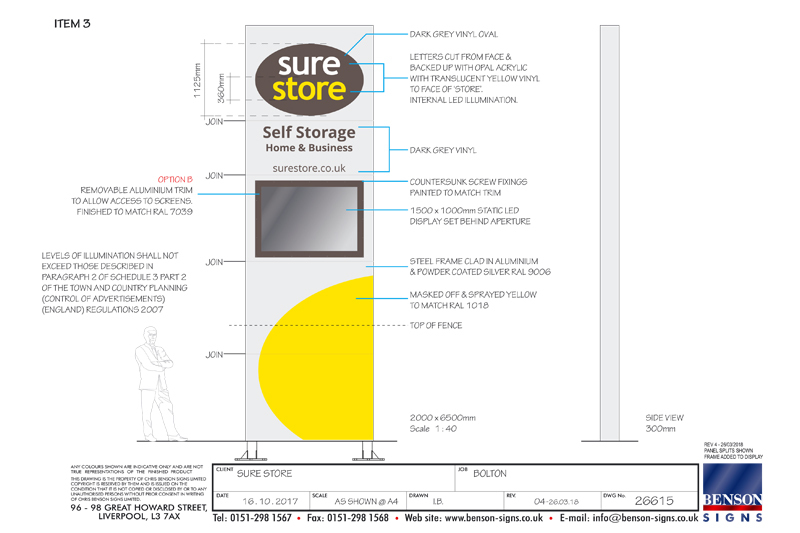 Once planning and advertising consent was approved for the signs and totem, we began work. Each building had three large LED illuminated Flex faced boxes, with printed faces as per the customers branding guidelines. The large totem comprised of a 6.5m high, free standing steel structure, over clad with powder coated aluminium panels with painted and vinyl details, all to client specification. 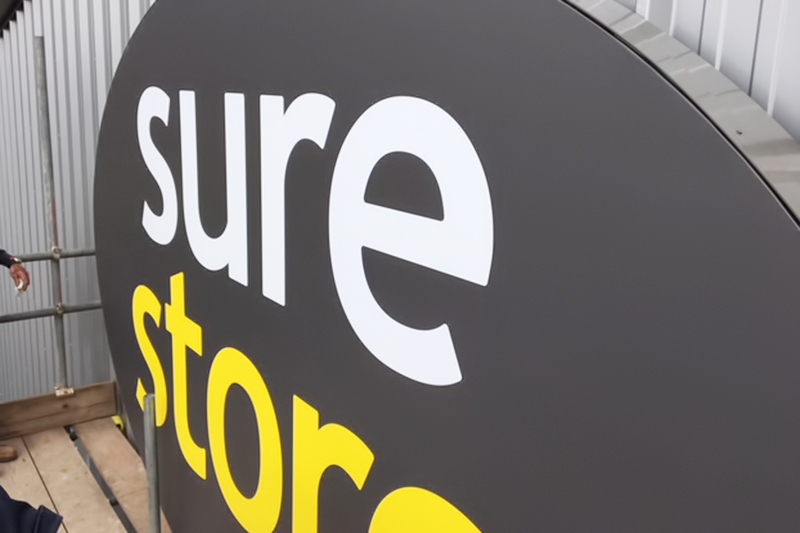 The Sure store logo was fret cut into each side of the totem, and internally illuminated with LED modules. Digital content is displayed on two 1.5m wide x 1m wide, high brightness LED screens, which were pre-programmed before being housed inside the sign. 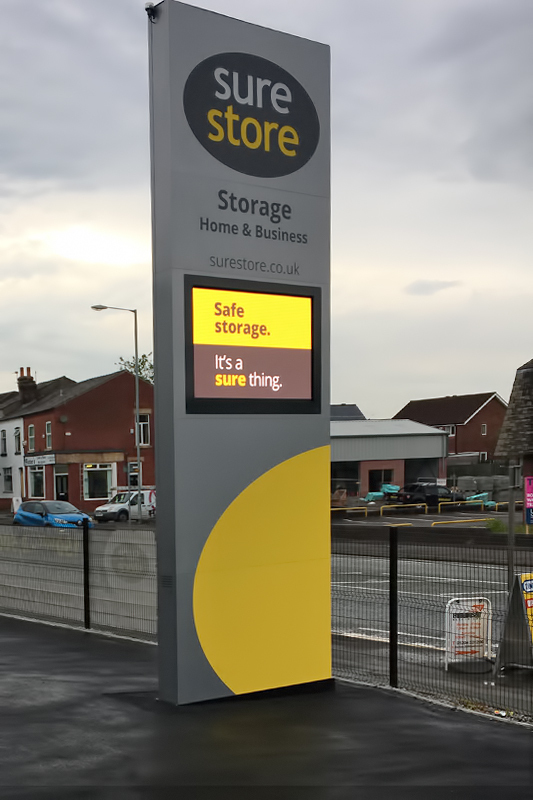 The screens can be used to display static or animated images and are intended to attract business from the busy B6536 Manchester road. The sign was lifted into position using a vehicle mounted crane, which was required to clear a low fence. It was then bolted onto a concrete base with ground cages, before being connected to its electrical feeds and data cables. The ground surface was then made good. The LED screens can now be computer operated which provide a flexible signage solution allowing Sure store to generate and display their own digital content.